EquipNet is constantly receiving used Russell Finex equipment through our exclusive contracts with our clients. Our inventory of used Russell Finex equipment includes a number of sieves and sifters, and more. If you do not see the used Russell Finex equipment you are looking for, call one of our representatives and we will find it for you. We can also source the right tooling and change parts that you need through our huge network of corporate clients from around the globe. Russell Finex offers a range of industrial sieves and sifters, offering consumers the ideal solution for their material separating needs. Russell Finex sieves are consistent and reliable and built to the highest standards. 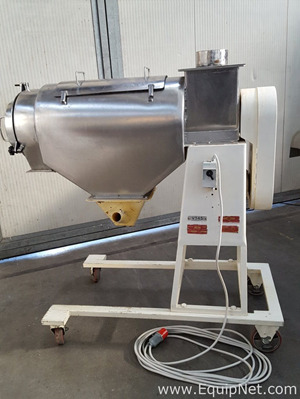 EquipNet carries multiple used Russel Finex sieves, including compact models, 30 inch diameter screens, 20 inch diameter, 22 inch diameter, and more.